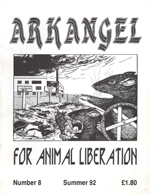 After serious problems with police raids and repression, Arkangel managed to produce two issues in 1992. 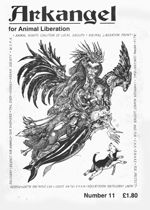 The focus of the magazine was still the networking of local grassroots organizations and opinion pieces by members of the movement, but some wonderful morsels of history pop up between these covers. 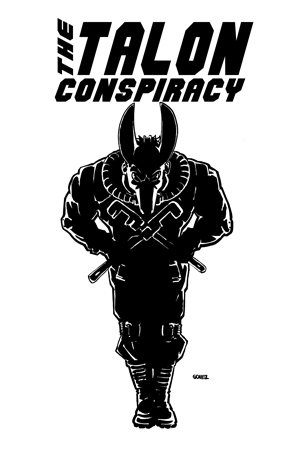 Beyond the charm of finding out where the graphics that we’ve been reprinting forever come from, you will also learn about the early days of the McLibel case, how the British government prepared for Ronnie Lee’s release from prison, and many other interesting tidbits. 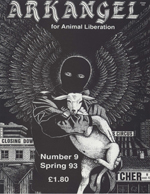 What was of greatest interest to me, however, was a short article in issue #9 written by Sue Smith. 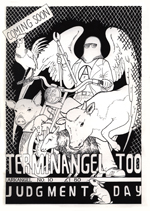 Sue is an unsung hero of the animal liberation movement, one of the founders of the Band of Mercy, and an original ALF activist. She was never caught for illegal activity, and it was only after her death that her participation in direct action became known. There is little written about her, but her brief article gives us a tiny sense of her level of compassion and concern. If any of our readers have more information about Ms. Smith, please contact us.